In light of the recent local school bus related accident and tragedies over the nation, MVRS would like to remind everyone of Maryland's school bus traffic laws. We urge everyone to please use extreme caution not only while driving during school hours, but all of the time. Many traffic accidents can be prevented by following traffic safety laws and being attentive to driving. 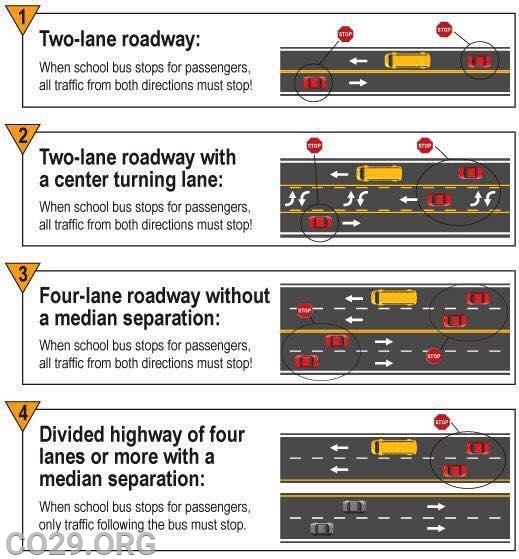 Please see the applicable Maryland State school bus traffic laws. approaching the school vehicle from its front. may not proceed until the school vehicle resumes motion or the alternately flashing red lights are deactivated. (c) Exceptions. -- This section does not apply to the driver of a vehicle on a divided highway, if the school vehicle is on a different roadway. (d) Penalty for violation of section. -- A person convicted of a violation of this section is subject to a fine not exceeding $ 1,000.